Both the Apple Watch and the Apple TV set new quarterly sales records in 1Q 2016, according to information shared by Tim Cook during today's earnings call. The Apple Watch saw especially strong sales in December as people purchased the device during the holiday season, something that's perhaps not a surprise given the significant discounts offered by some third-party retailers. While Apple did not offer discounts itself, Best Buy cut prices on the Apple Watch by $100, and Target offered a $100 gift card with the purchase of an Apple Watch. These price drops likely boosted Apple Watch sales by a good amount during the quarter. Apple also expanded Apple Watch availability to more than 48 countries ahead of the holiday season. As for the Apple TV, Apple says it saw its best quarter ever following the launch of the fourth-generation device. The Apple TV 4, priced at $149 to $199 depending on capacity, includes features like a full App Store, a touch-based remote control and Siri voice control. Available apps on the Apple TV have expanded, with 3,600 total apps now downloadable on the device. Apple does not break out sales of the Apple Watch and the Apple TV, choosing instead to lump them into an "Other" category that also includes iPods and Beats headphones, so exact sales numbers for the two devices are not known. Revenue for the Other category did see a big increase, jumping more than 40 percent from $2.7 billion in 1Q2015 to $4.35 billion in 1Q2016. Sales were also up quarter over quarter, as revenue in 4Q2015 was at $3 billion. Overall, it was a record quarter for Apple with $18.4 billion in profit on $75.9 billion in revenue. During the quarter, the company sold 74.8 million iPhones, 16.1 million iPads, and 5.3 million Macs. I stood up to applaud this news, but my Apple Watch didn't give me credit for it, so now I'm running around the room waving my arms up and down. The day Apple release actual sales figures for the watch is the day I'll accept the watch is a success. To say that the Apple Watch set record quarterly sales means precisely nothing. There were no sales a year ago. It's hardly surprising that their best sales would be at Christmas. We also know that the watch was hugely discounted, an unprecedented move from Apple. We have also had no sales figures from Tim Cook since the watch was launched in April 2015. All this suggests that the iWatch has been disappointing at a minimum. I think it has done very badly, and that its future is bleak. Goodwill to all who have bought it, but the Apple Watch is a mistake. Right, but how often do you see retailers offering $100 (~25%) off a brand new Apple product? Never in my memory. Retailers heavily discount every single Samsung product ever made and usually within weeks of selling. They even offer buy one get one free. It doesn't tell you much. The original iPhone dropped by 25% after only 3 months. Took 2+ years to sell as many phones as the watch did in 8 months. It means nothing - especially when the profit margin on the Apple Watch was 400%. Estimated by analysts to have sold 12mm Apple Watches since April and several billion in profits to Apple. Took the IPhone two years to sell that many iPhones and it was blasted as a flop and failure by everyone. Way too soon to write off the Apple Watch. Doesn't really matter to correct him. He only likes posts that are negative towards Apple products. Go check the other Apple reporting news item here. He likes every single post that bashed Apple. He even likes the posts that mock people who buy the Apple Watch. he has a long history of bashing Apple and likes any post that is negative towards Apple. Are you grieving over that the Apple Watch is being successful? Of course this past quarter was going to be the biggest ever for Apple Watch...It was it's first holiday quarter. Anything less would have been a complete and utter catastrophe. As far Apple TV, this past quarter was the first update in something like 3 years, so, again, anything less would have been a huge negative. The Apple bulls are looking for any good news they can get their hands on, and while i've been saying for a long time now that SHORT TERM there is plenty of reason to think Apple will have record breaking numbers, the LONG TERM is much more foggy, hence why I am calling Apple stock down to $85 by years end, as I have been for months, even when the stock was trading at $120+. 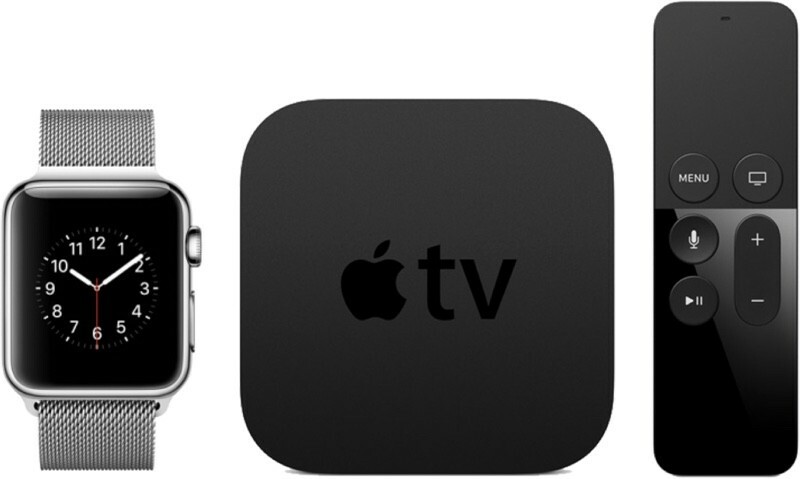 Seriously, this is great news for both the Apple Watch and the Apple TV. Hopefully Apple will apply even more resources to these projects, and the next builds we be more full-featured (more health monitors on the watch, and coaxial input on the ATV). Apple TV is a really great product. Apple Watch not so much. Its a niche product that saw sales and huge returns to match. If the watch numbers aren't broken out, we will never know the true numbers of sales/returns for it. I love the Apple TV for games though,cant wait to see Nintendo and old school games offered. I really want to know how many get returned after purchase.